The National Lutheran Health and Medical Board was registered in 2002 for the purpose of administering the hospitals, healthcare, healthcare education and human relief of the Lutheran church in India. The first executive director was DrShyamprasad. A cardio-thoracic surgeon, and a fellow of the Royal College of Surgeons, UK, Shyamprasad had served on the faculty of Christian Medical College, Vellore, and had also worked at Apollo Hospital Chennai and CSI Rainy Hospital, Chennai as the director. In his later years he was vice president of the National Board of Medical Examinations and served on several government health committees, including the boards of AIIMS and PGI Chandigarh. He also served as chairman of the CMC Ludhiana Board for two terms in the 1990s. He was special advisor to AnbumaniRamadoss, Minister of Health in the UPA government. During this time he was active in the anti-tobacco campaign and for initiating the concept of rural health practitioners. He did not shy from campaigning in the courts, pushing the judiciary to step in where government failed. He was a warrior that led the way to reform corruption in medical education. In 2004-05, he initiated a series of discussions, most of them informal, between individuals and church organizations, including the National Council of Churches, about the need for a Christian university. At that time, rumbles of political change were being felt across the country and many voiced the need for the Christian identity of education to be strengthened and made more visible. It was that vision that initiated the venture of MLCU. 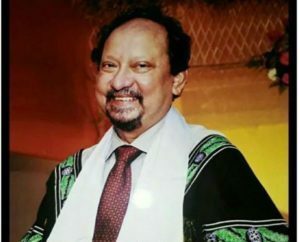 He was one of the founders of Martin Luther Christian University in Shillong, Meghalaya, serving as its first Chancellor from 2006 up to his death on March 25, 2017. He devoted himself to this young venture, not only contributing thought, time, and energy but generously, without hesitation, contributing financially from his own pockets. Suddenly the tragic event of his death has cut short the promise of much more to come. Every man and woman leaves behind incomplete work, lapsed ideas and unfinished commitments. It is for us who remain behind to take up these threads and move them towards the next phase of development and implementation. The changing national political environment, that is visible for all of us to see, is an arena in which Shyam lived and strove to secure justice and security for marginal sections of our society. This work we must carry on.